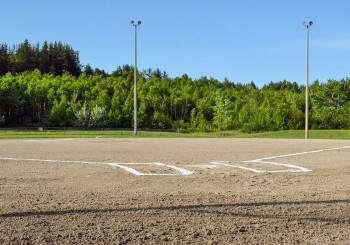 Formerly, the Sudbury Minor Girls Softball Association (SMGSA) which began in the early 1980s, the league changed its name to Sudbury Girls & Ladies Fastpitch Softball Association (SGLFSA) in 2010 to expand its league to include players over the age of 18. 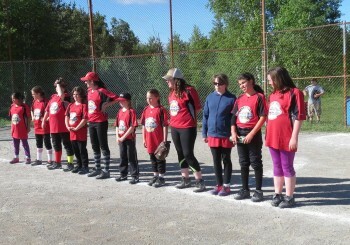 The league consists of three divisions beginning with young girls starting at the age of 7 where girls take part in a skills development based softball program progressing to fastpitch (windmill) softball. The overall philosophy of the league is that all girls should have the opportunity to compete, but sportsmanship, fair play, and having fun is of the utmost importance. For a more competitive type of play, girls are invited to try-out for select teams, where they travel to tournaments around Southern Ontario. 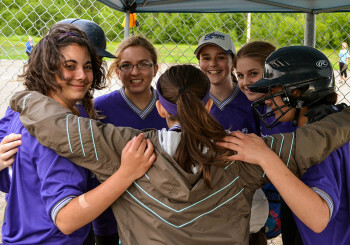 Both the Girls and Ladies division welcomes and encourages new players to join as pitching and skills development clinics are offered prior to the beginning of the season. Looking at the last week of May - will keep you posted! The league is looking for umpires, male or female 17+, please contact Chris Pakala at blueumps@yahoo.com for more details. Sponsorship is an excellent way for an organization to show their support for recreational sports in their local community. Our generous sponsors have assisted the league in holding registration costs at a reasonable level. Team sponsorships are 400$. If you know of an organization that would be interested in sponsorship please contact a member of the executive.